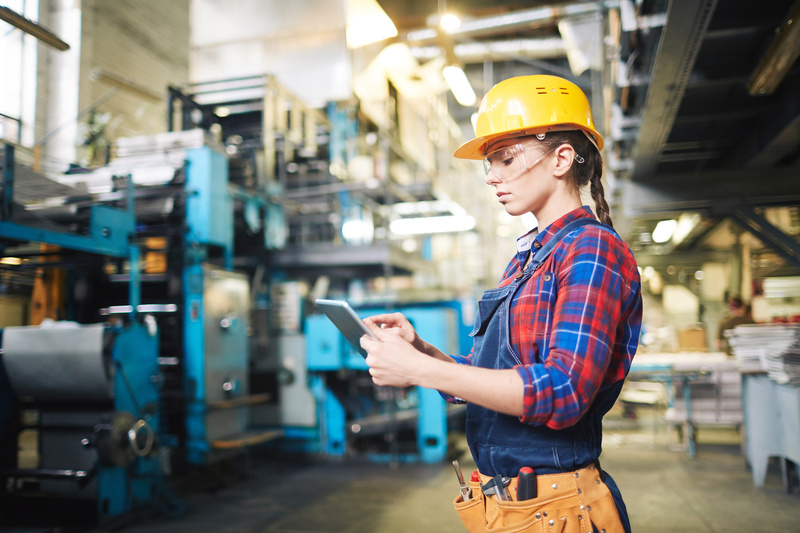 Manufacturing companies face unique risks that accompany the production of diverse products, and we specialize in providing coverages that safeguard your business. Manufacturing insurance allows you to protect your company assets, workers, vehicles and production capacity. We understand the risks of each industry, and we develop customized policies that give you the coverages that you need. If your product causes property damage or bodily injury, you probably understand that a general liability insurance policy provides protection from loss. Our Manufacturers' Errors and Omissions Insurance covers damages that are not the result of bodily injury or property damage. The sound of machines running means that you are experiencing risk, and it increases with each piece of equipment that someone operates. As the owner, you have responsibilities to your workers and your customers while you run the shop and produce a profit. Our Metal Goods Manufacturing Insurance can help you achieve your goals. The risks of producing the concrete products that create America’s buildings exist in a variety of hazards. Exposure to the harmful effects of inhalation, damage to skin or eyes, vehicles or machinery, falling objects and heavy lifting make our Concrete Products Manufacturing Insurance essential for your business. The manufacture of furniture, paper and wood products exposes workers to wood dust as well as heavy machinery. Our Wood Products Manufacturing Insurance policies can help you avoid business disruptions and keep your company producing the products that protect your bottom line. The production of plastic products poses risks for your manufacturing company, and one of our well-planned policies can help you keep your business running productively. The potential for equipment breakdowns and fire hazards deserves protection with Plastic Goods Manufacturing Insurance. Beverage and food products require high pressure for processing to ensure food safety. The workplace exposes workers to dangers that can produce catastrophic consequences. Our professional staff of experts can work with you to customize a Food Processing Insurance policy to help protect your business. Regardless of the type of product you are manufacturing,Lester, Greene, McCord and Thoma Insurance will structure unique insurance options for you. To discover more about your options, contact our agents today in Tullahoma, Tennessee. We offer manufacturing insurance for all of Tennessee including Tullahoma, Manchester, Winchester, Lynchburg, Decherd, Shelbyville and surrounding areas. This content represents only brief statements that relate to coverages. Please consult your independent agent for specific coverages, conditions and exclusions, as well as information about other fine products fromLester, Greene, McCord and Thoma Insurance.